A HAPPY, UPLIFTING SCENT: PJ’s Blend smells just like your favorite fruity breakfast cereal and is sure to bring smiles to the whole family. 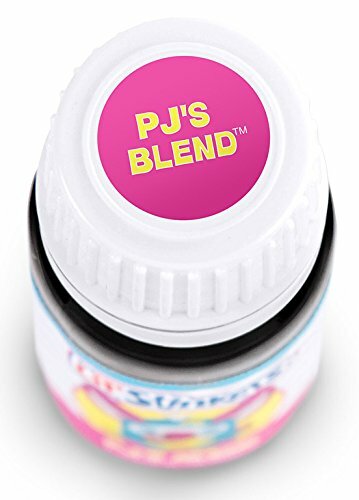 KIDSAFE FOR CHILDREN 2-10: PJ’s Blend only contains essential oils that meet our Kid Safe standards and was created by Certified Aroma therapists. 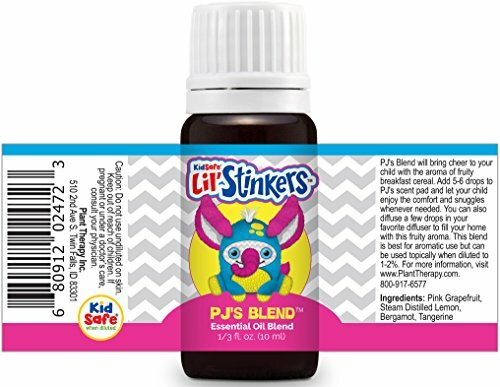 AN EXCLUSIVE LIL’ STINKER BLEND: PJ’s Blend can be used alone but is also a perfect companion to the PJ the Elephant, an adorable aroma plush animal. PJ’s Blend is a cheerful burst of citrusy essential oils, including Steam Distilled Lemon, Bergamot, Tangerine and bright Pink Grapefruit. This uplifting aroma smells just like fruity breakfast cereal and will bring smiles and happiness to your little one. This blend contains only 100% pure KidSafe oils and was created by Certified Aromatherapists. PJ’s Blend is perfect for use with PJ the Elephant, a collectible aroma plush animal with a removable Safety Scent Cartridge. 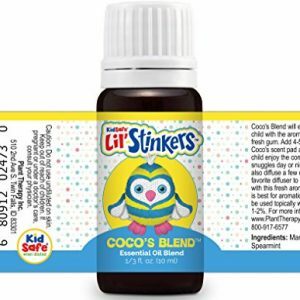 To use with PJ the Elephant or other KidSafe Little Stinker, add 5-6 drops to the scent pad and tuck it inside the pouch. You can also diffuse a few drops in your favorite diffuser to fill your home with this fruity aroma. This blend is best for aromatic use but can be used topically when diluted to 1-2%. BATCH SPECIFIC GCMS TESTED – The oil in each bottle you purchase from Plant Therapy belongs to a batch that goes through multiple GCMS tests by third-party laboratories and organoleptic testing by Robert Tisserand. Look for the batch code on your bottle! QUESTIONS? GET IN TOUCH! Plant Therapy’s certified aroma therapists are happy to help you with your Kid Safe PJ’s Blend questions via Amazon Messages. We welcome your questions and input! 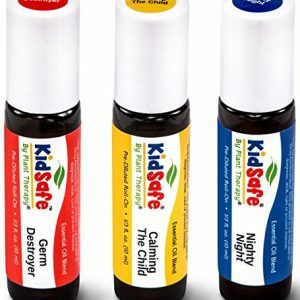 Plant Therapy Top 3 KidSafe Roll-On Set. 100% Pure, Therapeutic Grade Essential Oils Diluted in Coconut Oil. Includes: Germ Destroyer, Calming the Child and Nighty Night. 10 ml (1/3 oz) each. 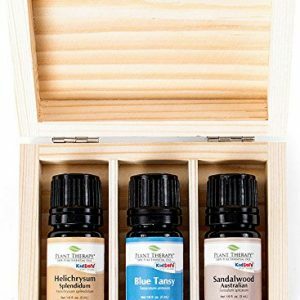 Plant Therapy Precious Oils Essential Oil Set. 100% Pure, Undiluted, Therapeutic Grade Oils of Helichrysum Italicum, Blue Tansy and Australian Sandalwood. 5 ml (1/3 oz) each.